Contest-Winning Chile Con Carne Recipe! I have won two local chili contest with my chili con carne recipe, including one that had a Texan on the judging committee. If a Texan can give my chili a “thumbs up,” it must be great! Remember there are no beans in a true Texas chili, but I like to add some beans, but not too much. This is one of those recipes that I just do. I have estimated the amount of each ingredient I have used in making this recipe below. If you want to add more or less of an ingredient (or even leave one out), feel free to do so. It is very hard to “wreck” a chili con carne. You can pick your favorite cooking method or whatever suits your mood for the day. Instructions have been provided to cook in a Dutch oven on the stovetop, slow cooker or Instant Pot electric pressure cooker. For the Instant Pot pressure cooker instructions, I have provided cooking options and times to use either canned or dried beans. * If you prefer your chili spicy, keep the seeds in, the chili peppers will mellow while cooking and still retain a nice spicy build up. Remove the seeds to keep your chili mild and more family friendly. 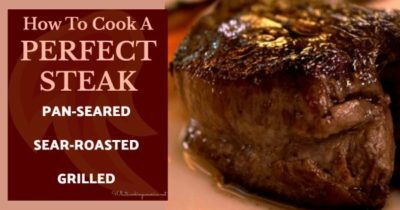 ** Red wine can be omitted and replaced with beef stock or water. *** Water may also be substituted for some of the liquid. **** Molasses helps cut down the acidity of the tomatoes. Honey may also be substituted. In a large soup pot or cast-iron Dutch oven over medium-high heat, saute ground beef and onions until the meat becomes gray in color; drain off fat and discard. Add garlic, cumin, oregano, chili powder, chili peppers, salt, pepper, and stir together. Saute for about 30 seconds to allow flavors to become fragrant. Next add tomato sauce, red wine, and beef broth. Reduce heat to low and simmer, covered, approximately 3 to 4 hours, stirring often. Note: Additional beef broth, water, or wine may be added as needed. Add molasses to taste to cut down the acidity of the tomatoes. Add beans and continue to simmer another 30 minutes. NOTE: During the last 30 minutes of cooking, do a lot of tasting and adjust seasoning to taste. For maximum flavor, cool chili and refrigerate overnight so flavors will mellow as chili is best made 1 day ahead to allow the flavors time to marry. When ready to serve, remove top layer of solidified fat, reheat chili over low heat, and serve in large individual bowls. Set out garnishes for your chili (some chopped green onions, sour cream and shredded sharp cheddar cheese make great topping). In a large frying pan over medium-high heat, cook ground beef until browned; drain off fat and discard. Add onion and garlic and saute until the onions become soft and translucent, approximately 3 to 4 minutes. Add cumin, oregano, chili powder, chili peppers, salt, and pepper. Stir into beef mixture and cook for a couple minutes longer. Add the cooked beef mixture to the slow cooker along with tomato sauce, red wine, beef broth, molasses, and beans. Stir together to combine and cover with slow cooker lid. Cook on low heat for 8 to 10 hours or high heat for 4 to 5 hours. Serve in bowls and garnish with your favorite toppings. Important Note: If using a 6 quart Instant Pot Pressure Cooker, I would recommend cutting the recipe ingredients in half to fit everything in the pot. For an 8 quart Instant Pot pressure cooker, the ingredient amounts will work just fine. Always make sure that the Instant Pot pressure cooker is no more than 1/2 filled with cooking with beans. 1/2 pound dried kidney beans (for 6 quart Instant Pot pressure cooker) adjust to 1 pound dried kidney beans for 8 quart Instant Pot pressure cooker. Add dried beans, onion quarters and water to the inner pot. Cover with lid and close lid to seal. Make sure the pressure valve is also closed to the sealing position. Press the Manual button, then press the Adjust button to set the pressure setting to High-Pressure. Set the cooking time for 45 minutes. After the cooking time is completed, let the pressure naturally release (this could take up to 30 minutes). Note - It's essential when pressure cooking dried beans to allow the pressure to naturally release so the beans will soften properly and reduce gas build up in the beans. Once the pressure has all released and the pressure pin has dropped, press the Keep Warm/Cancel button and open the lid. Drain off all the liquid and discard the onion quarters. I personally find it easier to brown a large quantity of meat and onions in a skillet on the stove, while waiting for the pressure to release on the cooked beans. Alternatively, you can placed the cooked beans in another large bowl and set aside. Rinse out the inner pot and wipe clean. Brown in your Instant Pot using the Saute mode, then press the Plus button "+" on the control panel to adjust the heat to the hottest setting. Once you are finished sauteeing in the Instant Pot, press the Keep Warm/Cancel button to turn off. Add the cooked beans to the pot with the meat mixture (see instructions below) and proceed with the remaining chili preparation instructions.. For this recipe, I will provide stovetop browning directions (shown below). In a large skillet over medium-high heat, cook ground beef until browned; drain off fat and discard. Add onion and saute until the onions become soft and translucent (approximately 3 to 4 minutes). Next add garlic, chili peppers, cumin, oregano, chili powder, chili peppers, salt, and pepper. Stir into beef mixture and cook for 30 more seconds for spices to become fragrant. Add the cooked beef mixture to the cooked kidney beans in the inner pot. Next add tomato sauce, red wine, beef broth, molasses. Note- If you are using canned beans instead of dried beans, now is the time to add the drained beans. Stir everything together to combine and cover with lid. Close the lid to seal. Make sure the pressure valve is also closed to the sealing position. Press the Manual button, then press the Adjust button to set the pressure setting to High-Pressure. Set the cooking time for 10 minutes. After the cooking time is completed, open the pressure valve to Quick Release the pressure. Open the lid and adjust seasonings to taste. Flavor Tip: For maximum flavor, cool chili and refrigerate overnight so flavors will mellow as chili is best made 1 day ahead to allow the flavors time to marry. When ready to serve, remove the top layer of solidified fat, reheat chili over low heat, and serve in large individual bowls. Set out garnishes for your chili (some chopped green onions, sliced jalapenos, sour cream and shredded sharp cheddar cheese make great toppings). Too salty: Chili that is too salty may be saved by boiling a peeled potato in the pot of chili (the potato will absorb a lot of the salt). Continue to simmer the chili longer until more liquid is reduced. Add some instant mashed potatoes. Add some yellow corn flour. This will also help absorb salt. Simply make a corn flour and water slurry, and add it in until the chili reaches the consistency is you want. Masa Harina is another thickener that works very well in chili. It will add a slightly sweet hint to the chili, but it makes the consistency very nice. Toss a grating of bitter chocolate into chili to give it body and mellow the flavors. The influence behind this chili recipe came from my maternal grandfather, who when working with the Santa Fe Railroad learned how to prepare it from the “cookies,” or trail cooks. It has won numerous chili cook-offs and is one of the really true original chili recipes. The first chili cook-off known to modern man took place in 1967 in uninhabited Terlingua, Texas (once a thriving mercury-mining town of 5,000 people). It was a two-man cook-off between Texas chili champ Wick Fowler (a Dallas and Denton newspaper reporter) and H. Allen Smith (humorist and author), which ended in a tie – but I like to add some beans, but not too much. This delicious Spicy Chile with Peppers recipe and photo were shared with my by Karen Calanchini, Food Stylist and Photographer, of Redding, CA. This version contains bison and beef. Recipe by Frank X. Tolbert, from his book, A Bowl of Red.Frank Tolbert founded the Terlingua International Chili Championship in Terlingua, Texas and owned a chain of chili parlors in Dallas, Texas. That really was the best chili I have ever tasted! When you say “a lot of” wine – is that like replacing a cup of the broth or two cups or ? I have been making chili for almost 50 years and this recipe is by far the most universally enjoyed. Whenever I make a batch, those who taste it immediately ask for the recipe. For those who enjoy more heat, I would recommend 2 soprano peppers, a jalapeño and a sprinkle of crushed red pepper. The wine and molasses are must. I used 3 cans of Bushe’s beans (drained and rinsed) one dark kidney, one light kidney and one chili bean. This is the only leftover than gets eaten daily until gone. Be sure to refrigerate one to three days before serving. It gets better every day it remains in the frigerator. Once you dig into it, it will be gone. the recipe author keeps adding substitution ideas for ingredients, such water in place of the beef broth or wine, which totally changes the taste of the recipe that won the contest….???? Each time my Mom make’s her chili she always slightly tweaks the recipe depending on what she is in the mood to try or what she has on hand. Still tastes amazing. Also, some people don’t drink alcohol and need a substitution option. – Molasses in this part of the world is the first pressing of sugar cane. It contains dirt and the odd snake or two 🙂 It’s hard to buy. I’m guessing you mean what we call “treacle”. It works great, much nicer than just white sugar. – Where you garnish with “chopped green onions”, I’m guessing you mean “scallions”. We call them “spring onions”. –	Instead of chili powder, we use a hand full of bird’s eye chilis (the little red very hot ones) finely sliced with seeds. It’s quite spicy but as you know it mellows beautifully the next day. –	We don’t drain the beans. It seems a waste to drain off those flavours and the starch helps thicken the mix. However one needs to have the chili on the dry side before adding the beans or it will be too runny. Technically treacle is considered any syrup made by refining sugar. Not just molasses 🙂 And I think you mean thai chilis. Yes scallions and green onions are the same thing. This is fabulous! the heat and humidity finally broke in our area and the cool temps made this a perfect day for making chili. I was batch cooking for the week today and this just got taken off the heat after simmering for 4 hours – its delicious now. Can’t wait to see how much better it gets tomorrow.